© Mary Garner-Mitchell. 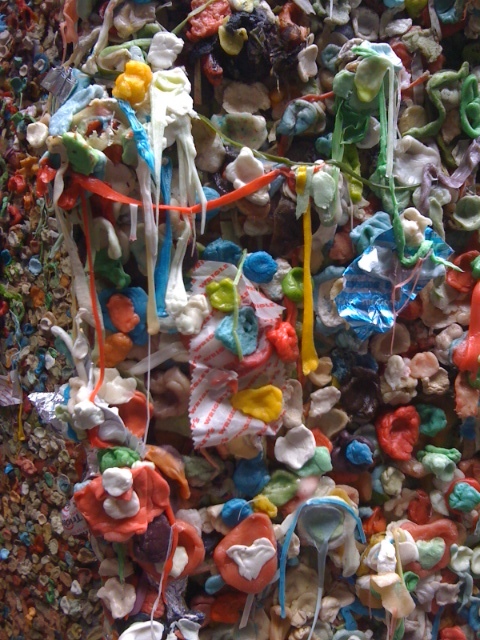 Seattle’s Gum Wall is located along Post Alley, under Park Place Market. While some may dismiss the Gum Wall purely for its “ick” factor, this is the sort of creative spontaneity that I truly appreciate and see far too lacking in my day-to-day life and surroundings here in Virginia. That’s something I’ve got to change. I’m sure I just need to venture to the city more often, look longer and WORK harder.